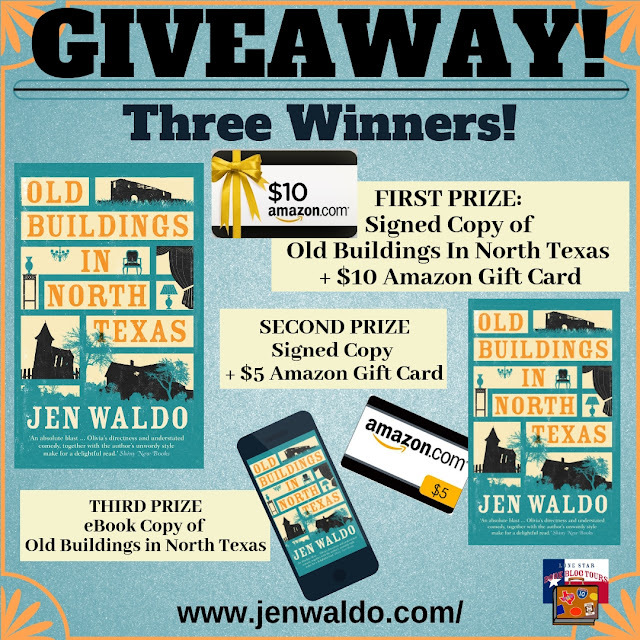 I'm kicking off the Lone Star Book Blog Tour of OLD BUILDINGS IN NORTH TEXAS and author Jen Waldo has graciously provided a GUEST POST discussing how moving back home can sometimes be the answer to moving on. The purpose of college is to get the kids out of the house. The plan is for them to get a degree, get a job, and never come back. It’s generally understood that this is the healthy way for things to go. I moved back home after college -- and not because I wanted to. I was having a good time working as the night shift receptionist in an emergency room in Lubbock. It was both a college town and a redneck town, and every night brought in gunshot wounds and compound fractures. And, as far as the medical staff went, I’d never been exposed to such an extreme amount of salacious drama. It was highly entertaining. During my free time I’d drink with friends, play with my dog, and read. I was earning enough to live on and hadn’t a single ambition to my name. But my mother said she needed me at home, so back to Amarillo I went. She didn’t need me, though. She just missed me. Also, she knew me well. I had no intention of getting a job in the field I had so unwisely chosen. I played the flute and had earned a degree in music, with an education certificate; and all there was to do with a background like that was to perform or teach. As to performing, I vomited before auditions and sobbed afterwards. And teaching? If the curriculum had put student teaching first semester instead of last, I never would have majored in music education. Being in charge of unruly children squealing away on instruments is an insane way to make a living. So, sensing my lack of direction, my mother felt she needed to make sure I didn’t party my life away. Which was exactly what I was doing before she guilted me into moving home. I had a friend who, between the age of twenty-two and twenty-eight, was married and divorced three times; and after every divorce she moved back into her parents’ house, bringing her kids with her—a new baby for each go-round. Oddly she and her parents, and her children, seemed happier together than they were apart. She lives with her parents still. A guy I knew in Houston would move into his own apartment every once in a while, but he always ended up returning to his childhood bedroom, living with his single mother. He couldn’t hold a job and she had money. She was getting older and he could help. It was a good fit. 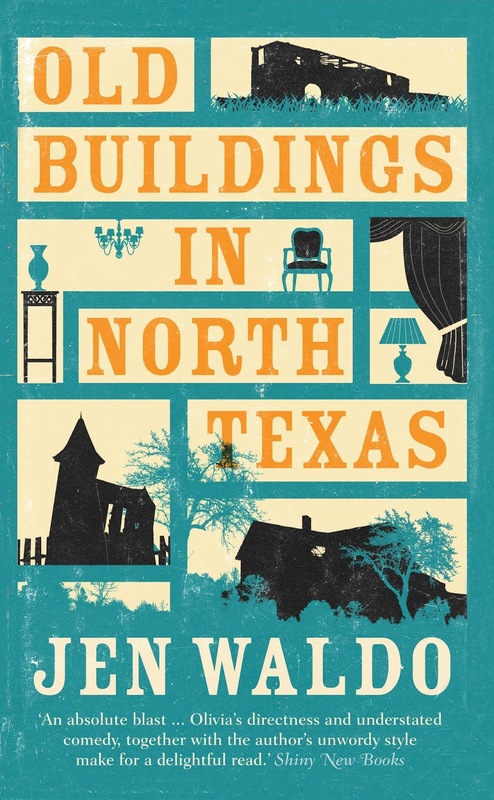 In my novel, Old Buildings in North Texas, the legalities of addiction force Olivia to move back in with her mom. If she hadn’t had a place to go after rehab, she would’ve been put in a group home. Rather than see her daughter forced to share a bathroom with strangers and addicts, Olivia’s mother steps up, becoming Olivia’s legal custodian. The relationship between the two women is both comfortable and tense. The two of them know each other so well that they might as well be the same person. They often communicate through sighs, gestures, and expressions; no words necessary. This familiarity is the reason Olivia knows that her mother would strongly disapprove of urbexing and looting houses; it’s the reason why Olivia’s sneaky. And because they are so mentally intimate, Mom’s disappointment is a constant presence in Olivia’s psyche. Because her daughter always succeeded, there simply is no precedent for handling failure. Also, Mom takes her custodial duties seriously. 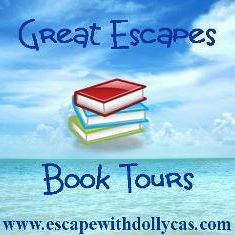 She doles out Olivia’s pills, takes control of her finances, and calls throughout the day to make sure that Olivia is where she’s supposed to be, doing what she’s supposed to be doing. In this situation of her own creation, it’s unfair that Olivia resents her mother; nevertheless, resentment is a throbbing irking thread that connects them, which only serves to cause Mom, too, to feel resentment. At this point, Olivia has been on her own for several years. She got her master’s at Columbia in New York and worked for a weekly magazine in Dallas. Because of her achievements she feels superior to the unimaginative and insular folk of her hometown, Caprock, where the people who were once her friends now view her as a traitor simply because she didn’t stay. While she feels she’s learned much about the world because of her experiences, the people she left behind haven’t grown at all; they’ve just gotten older and more firmly tucked into their little pocket of the panhandle. And to them Olivia seems snooty, but also a loser. She’s an addict—what does she have to be so arrogant about. And into this mix of swirling negativity, arrives the other daughter, Chloe, many years younger than Olivia, a college senior, and heavily pregnant. 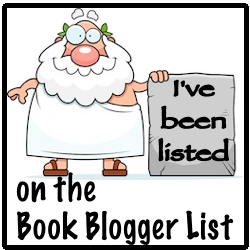 No baby-daddy in sight. Chloe has expectations. She’s been accepted to med school. And Mom has expectations for Chloe who, like Olivia, has never taken a stupid step in her life. Until now. Another failure has come home, and Olivia is positively gleeful. She’s not the only daughter who disappoints. How does the parent feel when a grown child returns? In my case, my mother was thrilled. I was the fun sister. I suspect some parents are resigned. If a son or daughter is twenty-two and has graduated from college, this doesn’t necessarily mean that their first day of work is June first. Clearing the nest is a process. Olivia’s Mom is silent on the matter. She keeps the same routine she had when the girls were younger—that of going to work, coming home, eating a light dinner, and sitting on the back porch drinking wine with her best friend, Zachary. She’s been by herself for quite some time, though, and she’s grown used to the quiet house. While the drama her daughters bring with them wears her out, she wants to help in any way she can. It’s what a mother does. She’s concerned about her girls, but her concern seems ephemeral and distant. She’s raised them once and it’s not her place to do it again. And she knows, as all parents do, that a move-back will soon move on. 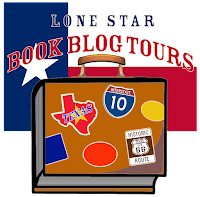 Many thanks to Lone Star Book Blog Tours and Jen Waldo! It was an absolute pleasure hosting! And be sure to check out the other stops on the tour for more opinions and extras!